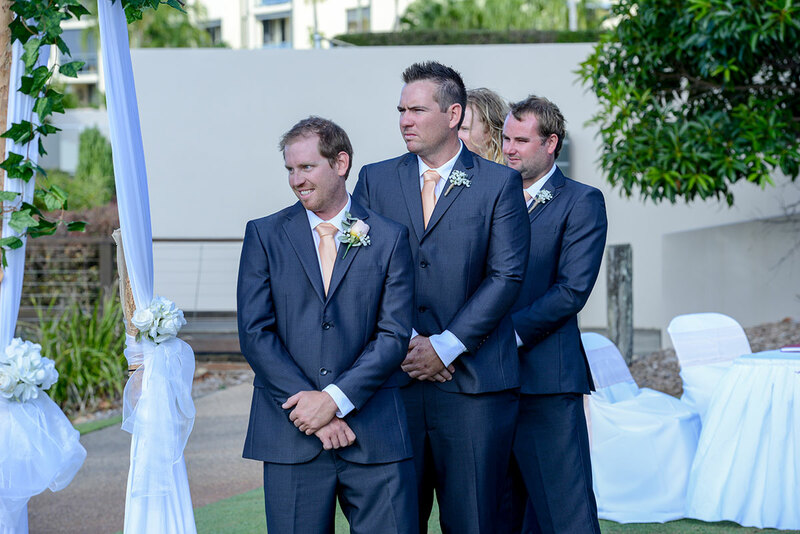 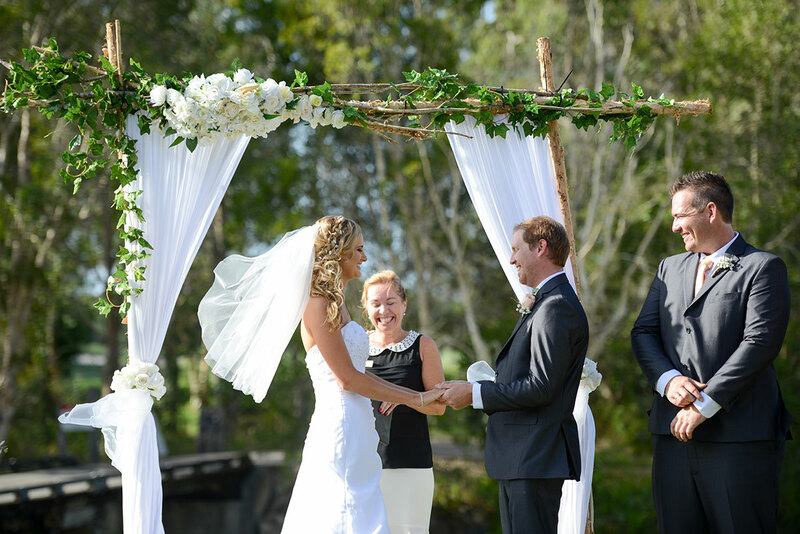 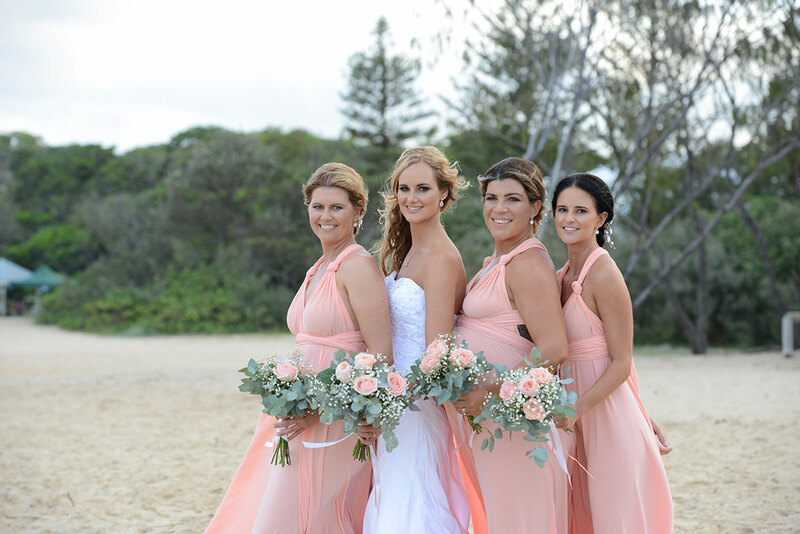 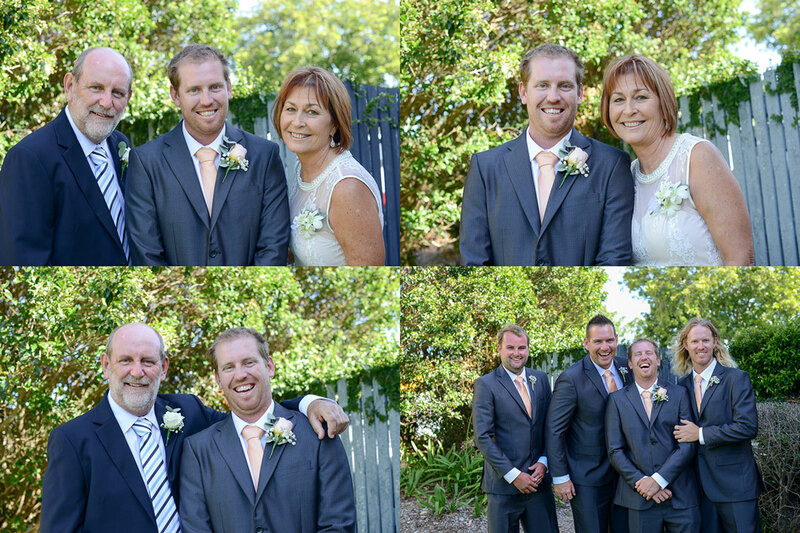 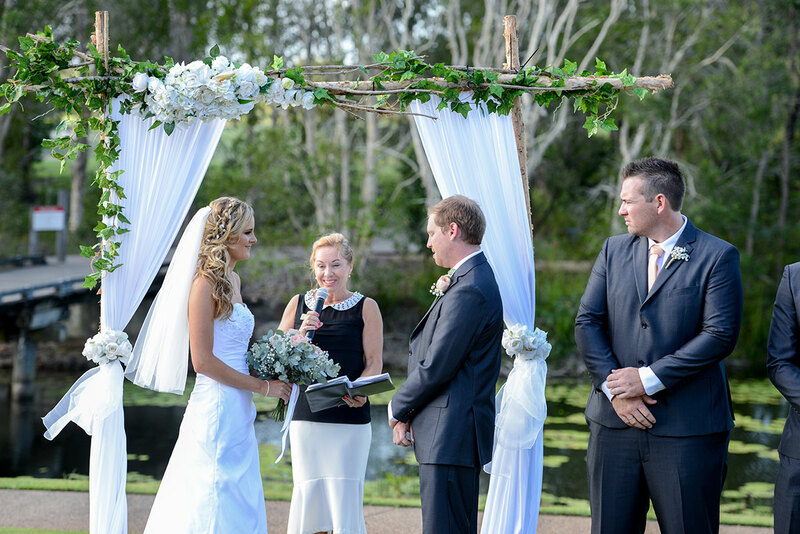 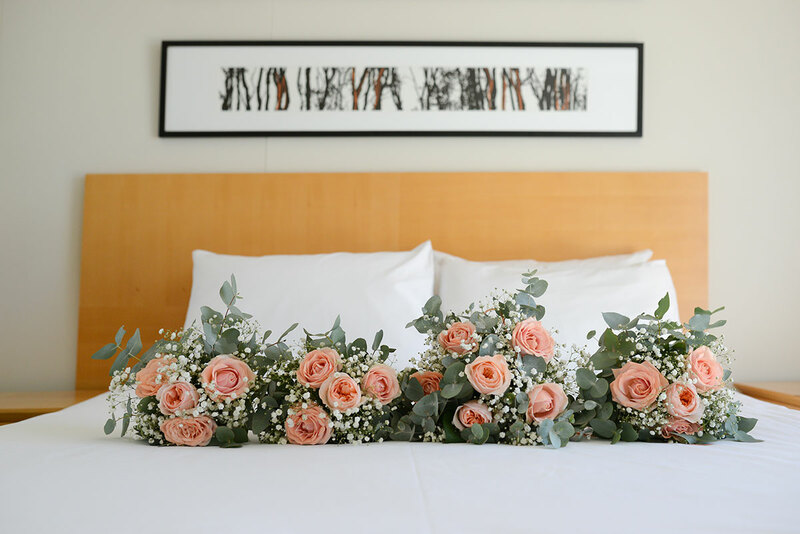 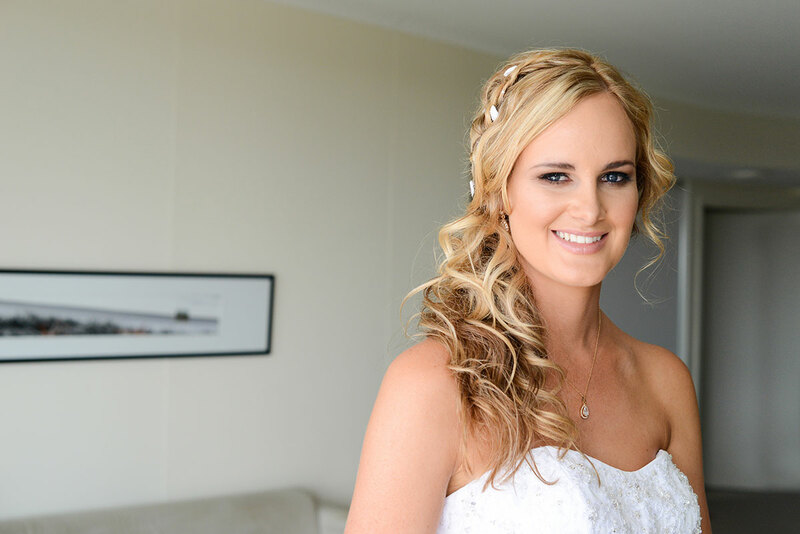 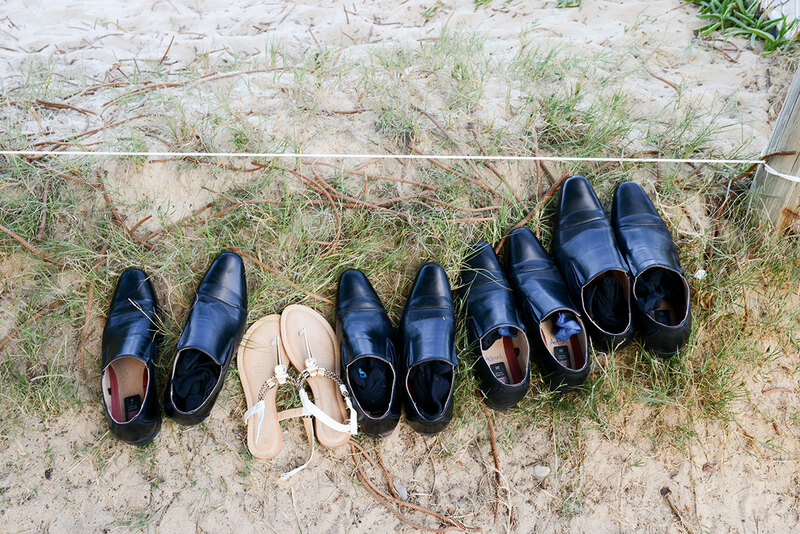 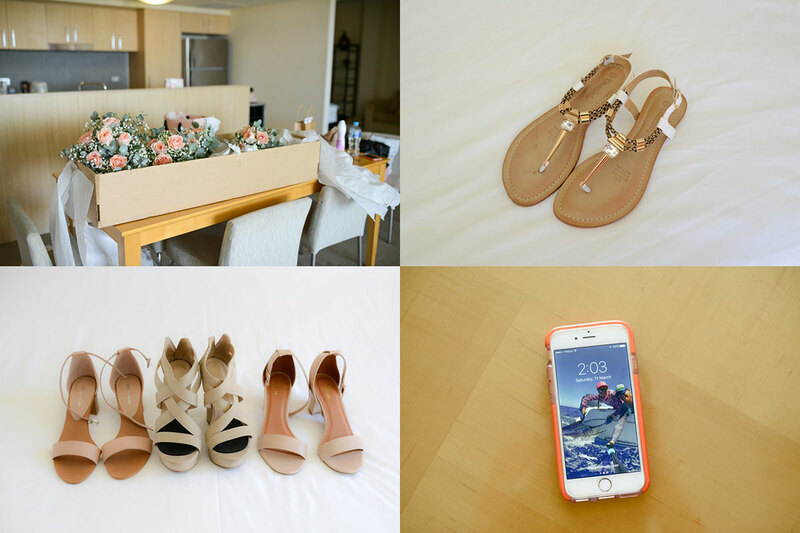 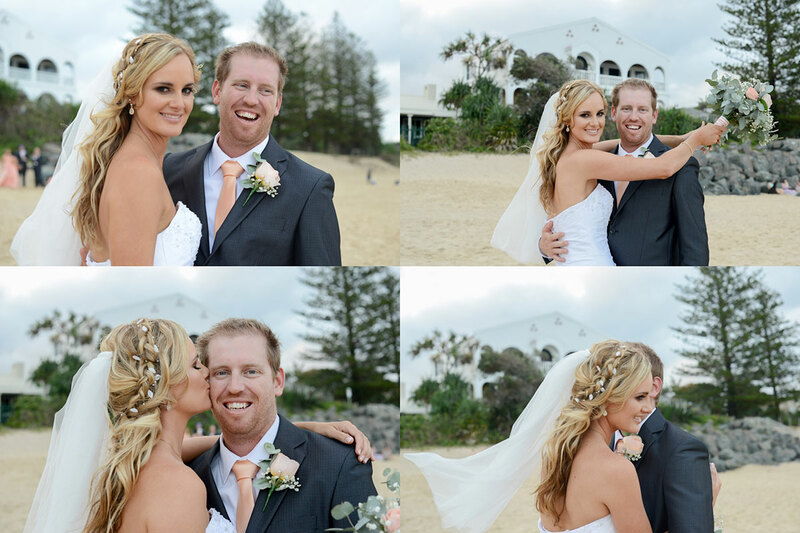 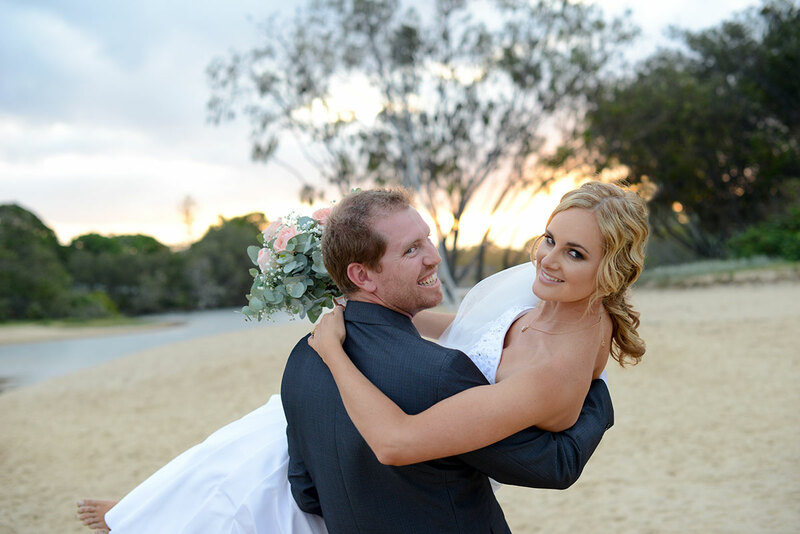 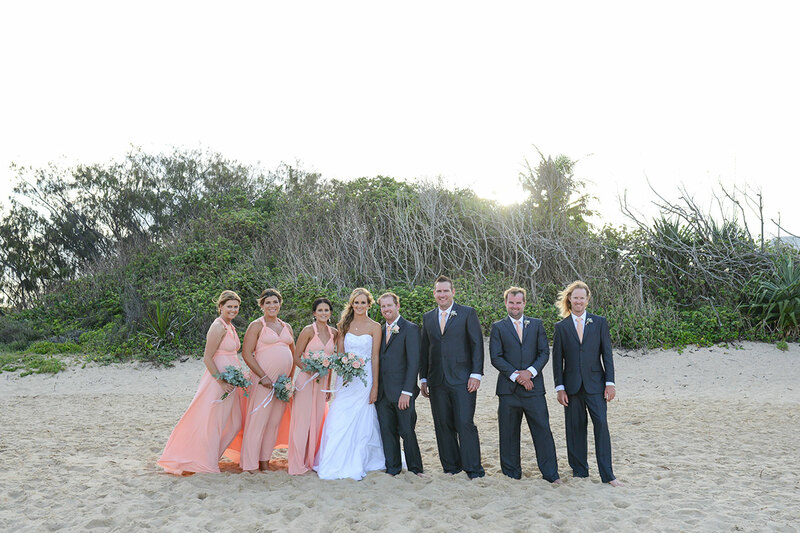 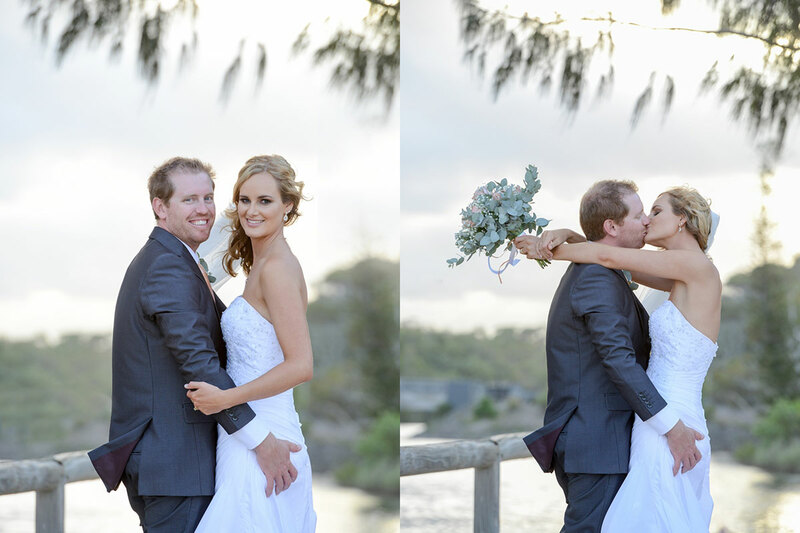 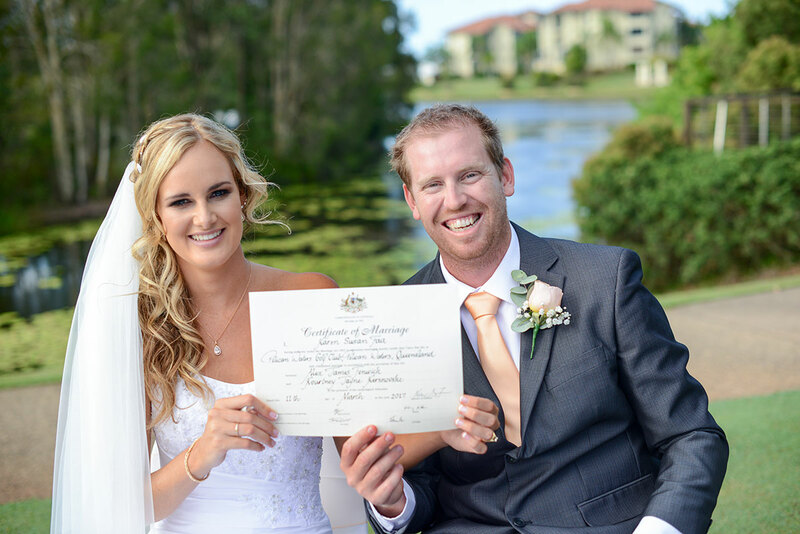 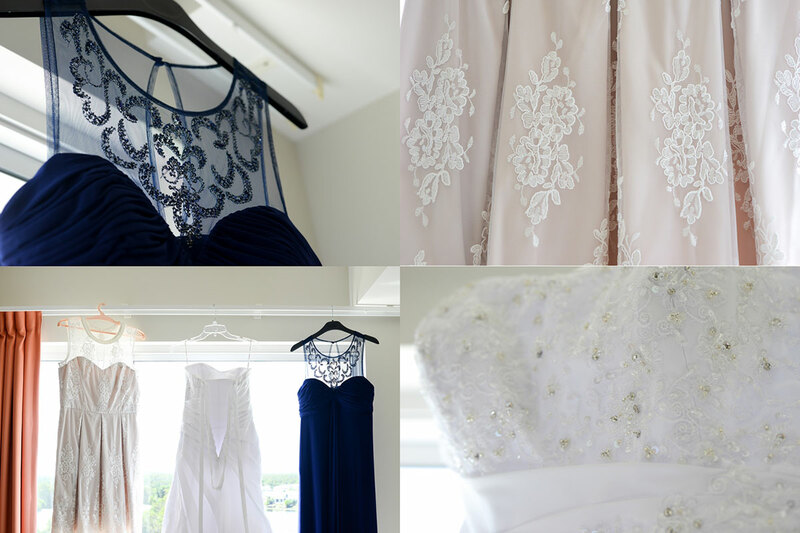 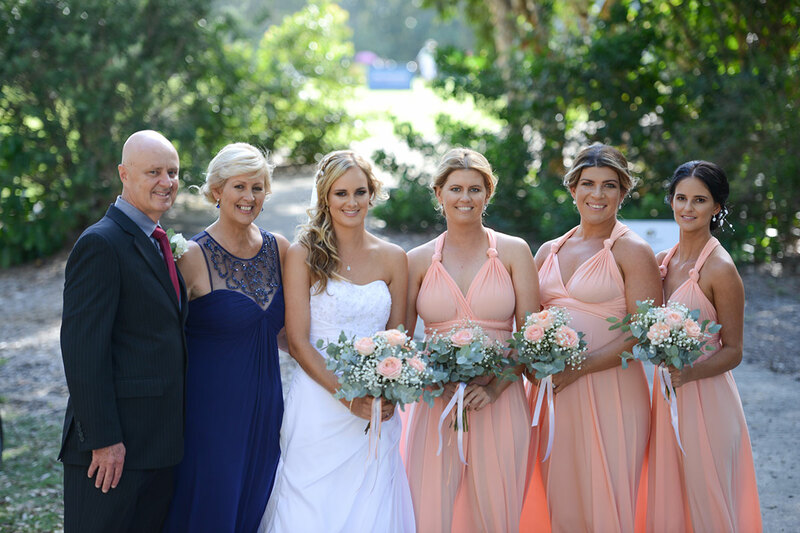 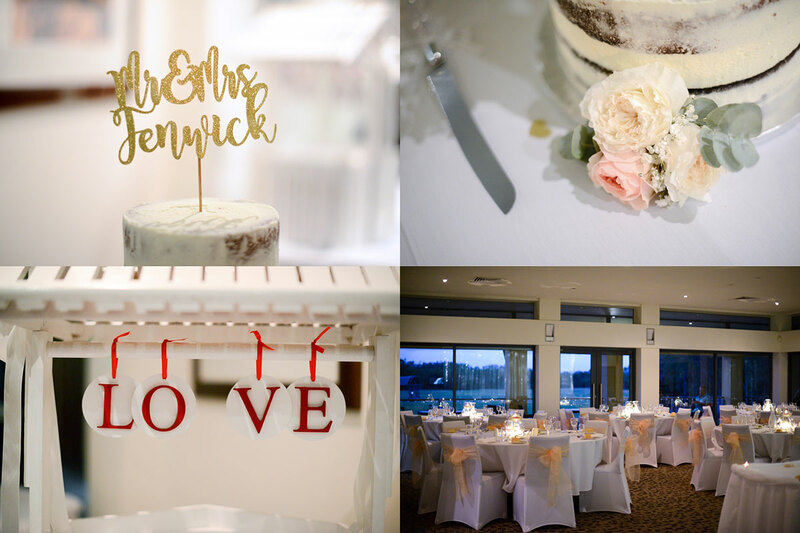 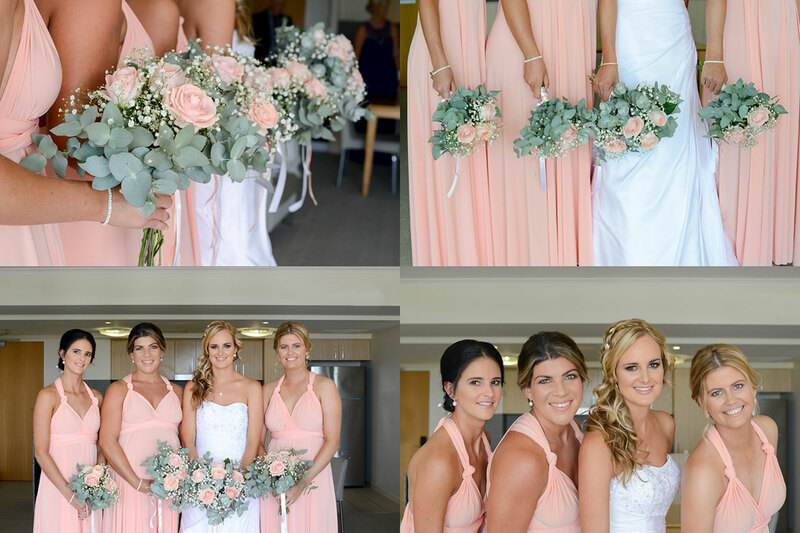 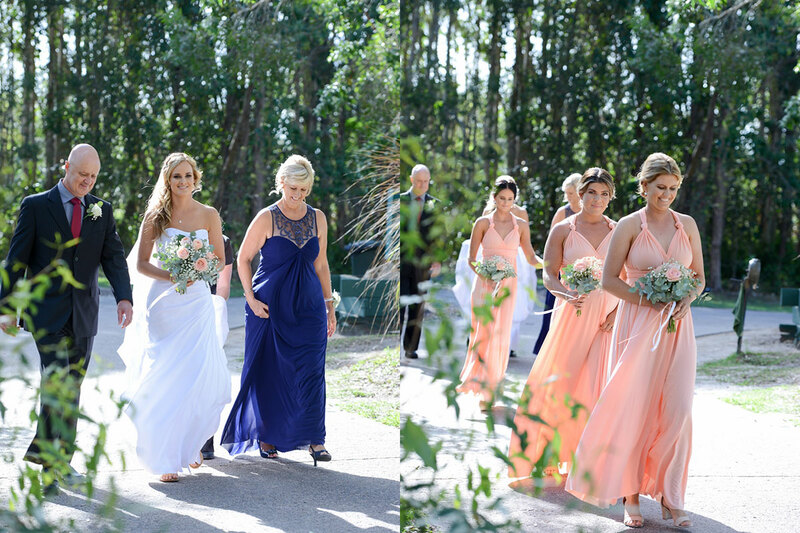 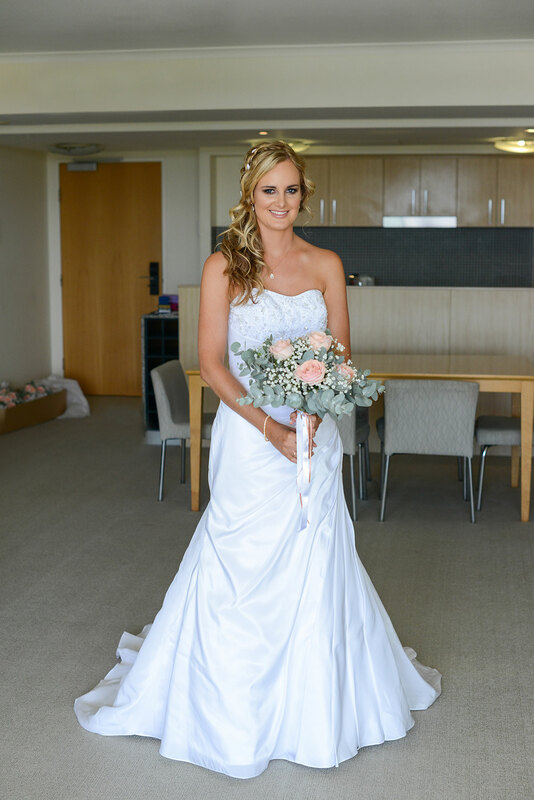 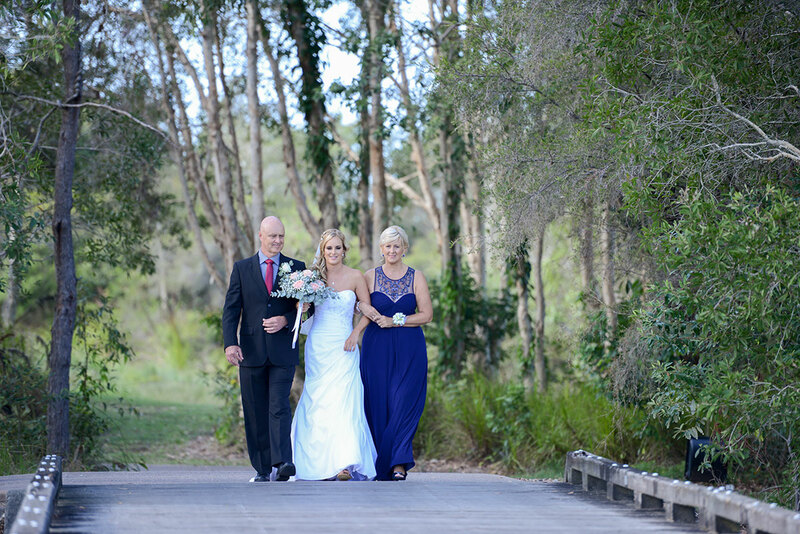 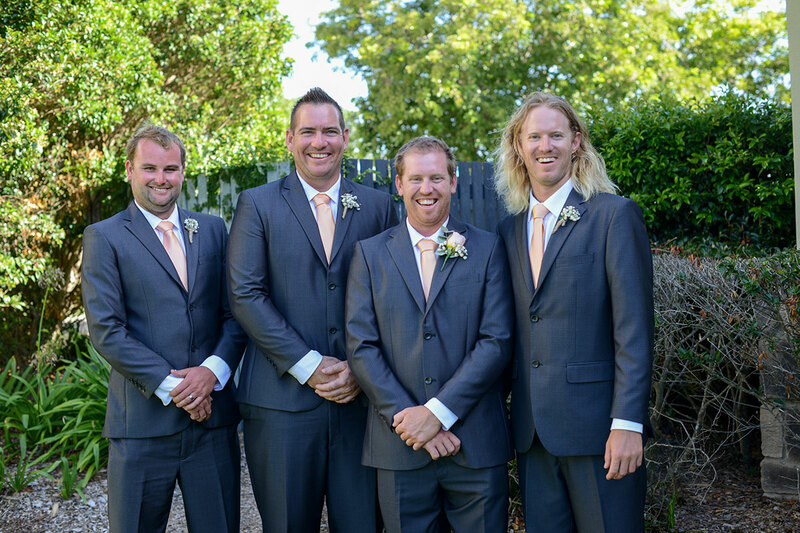 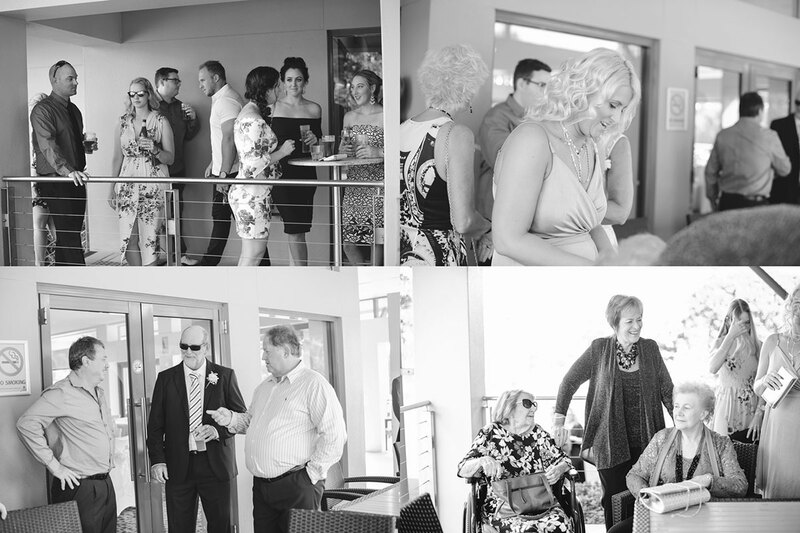 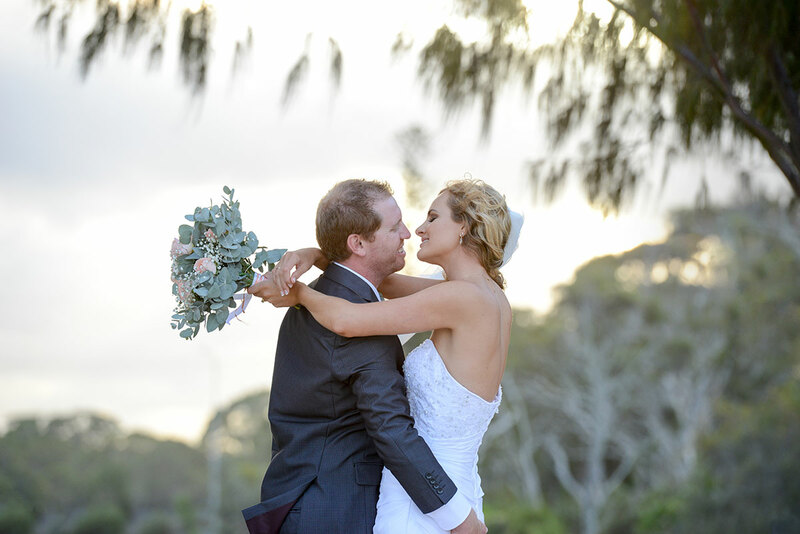 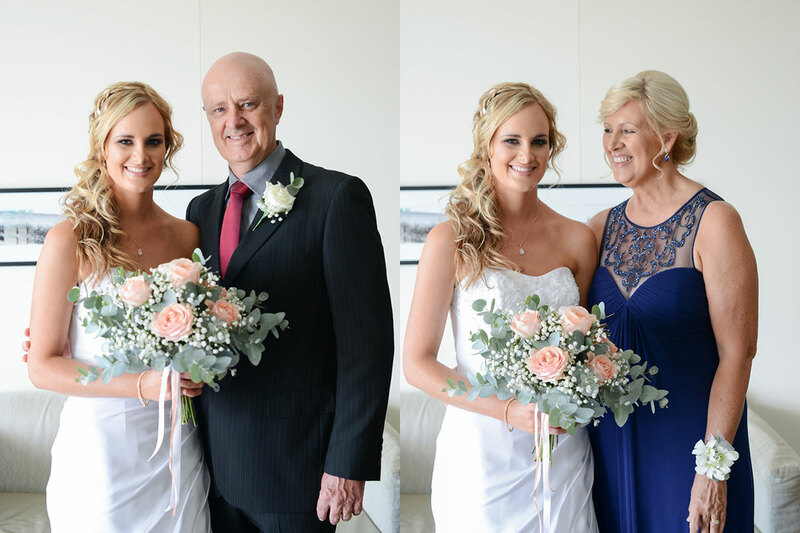 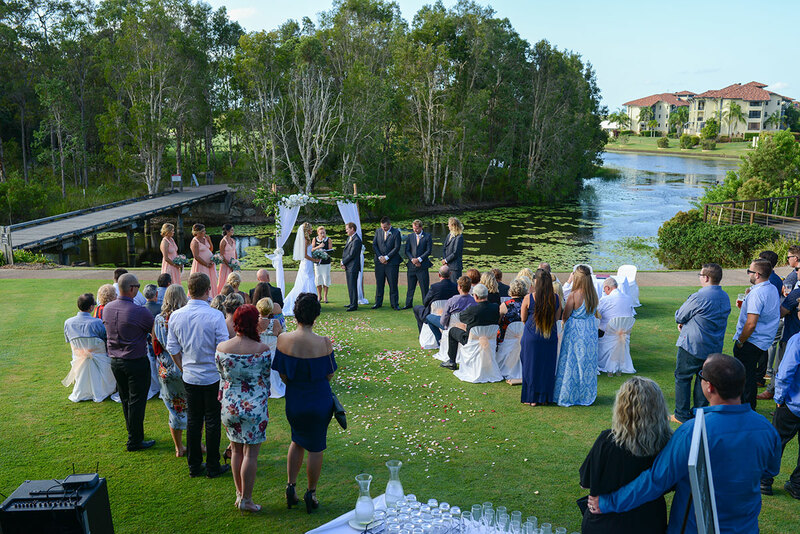 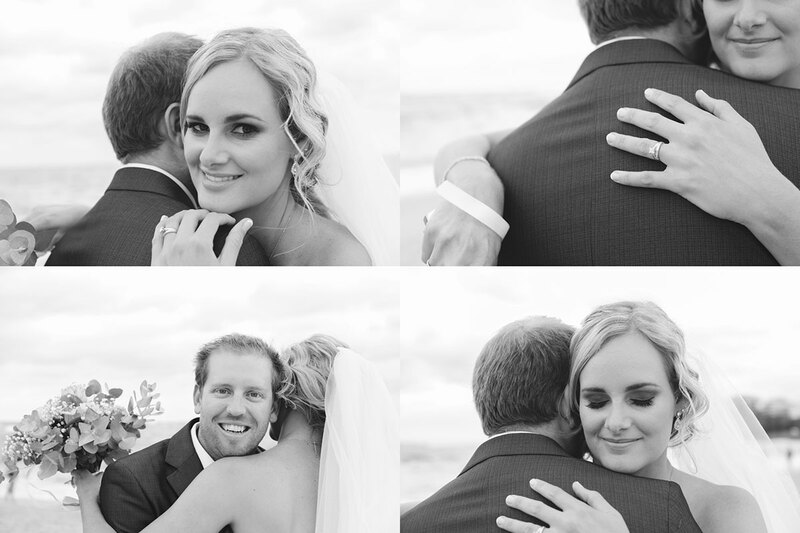 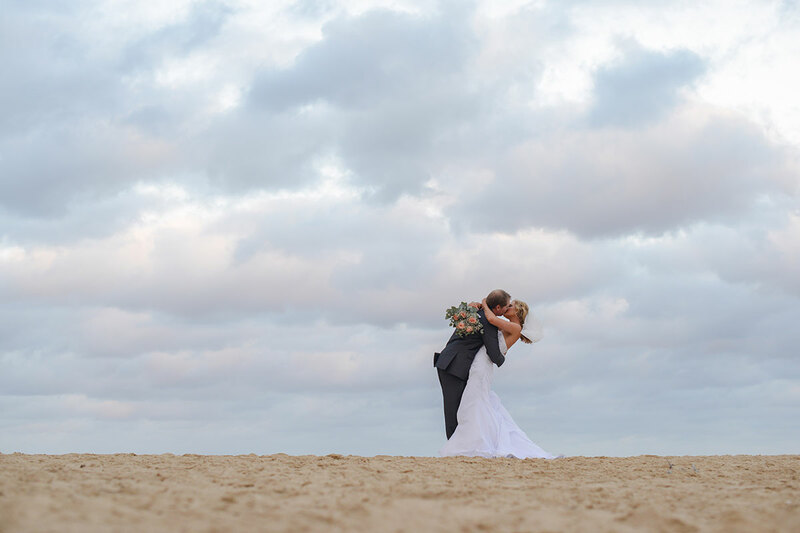 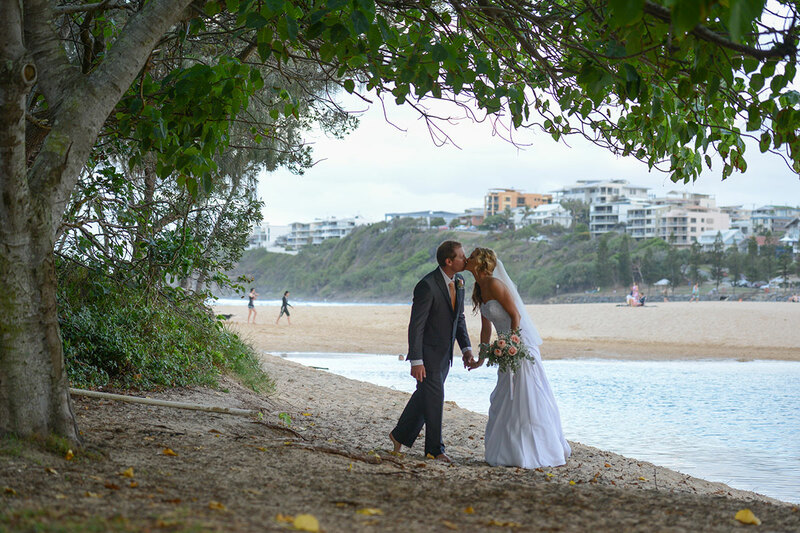 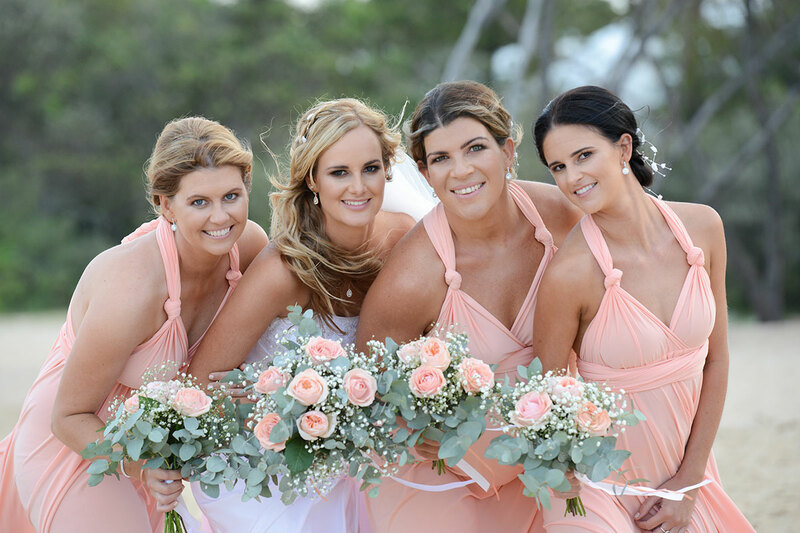 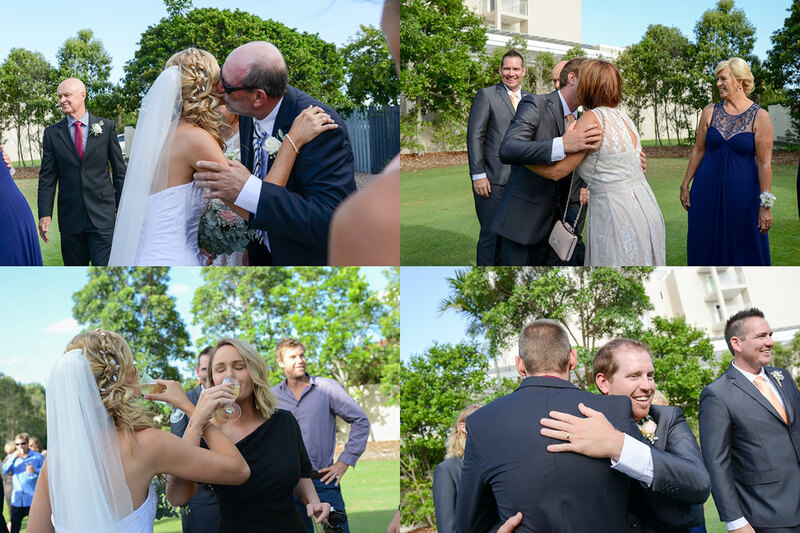 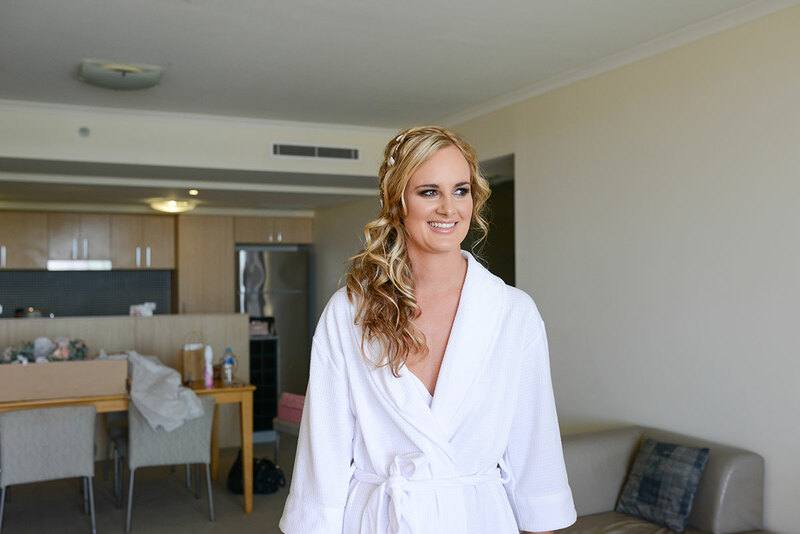 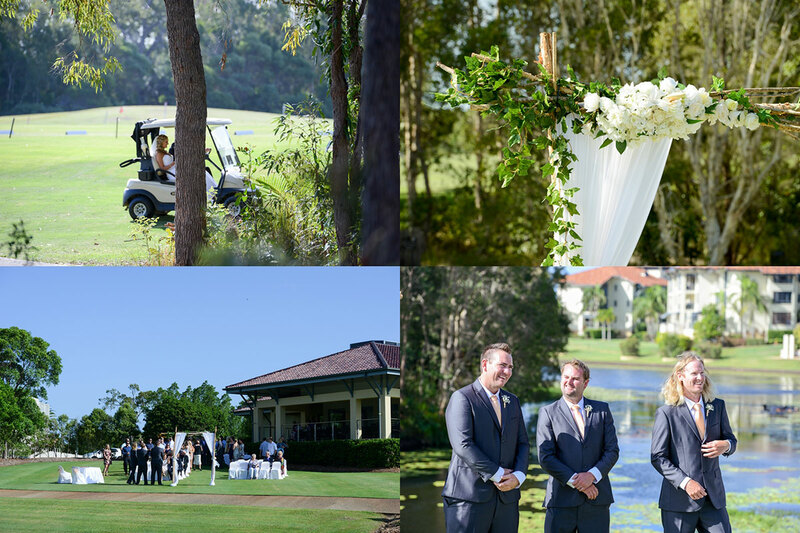 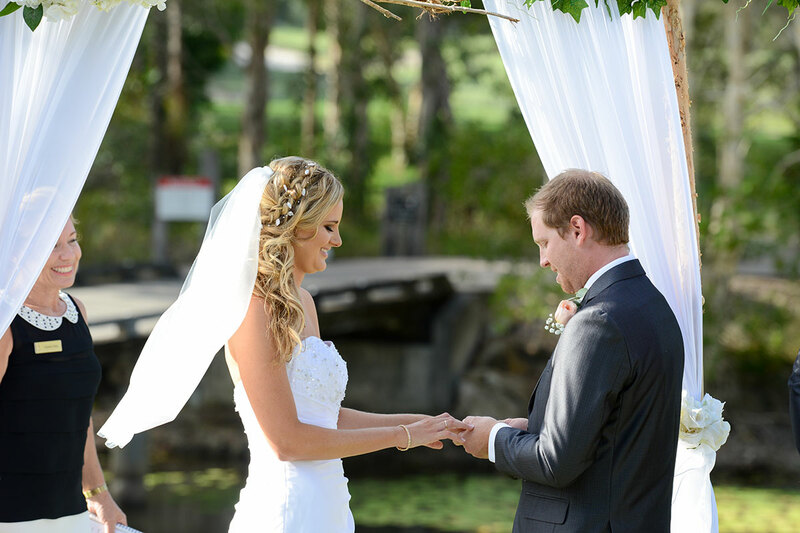 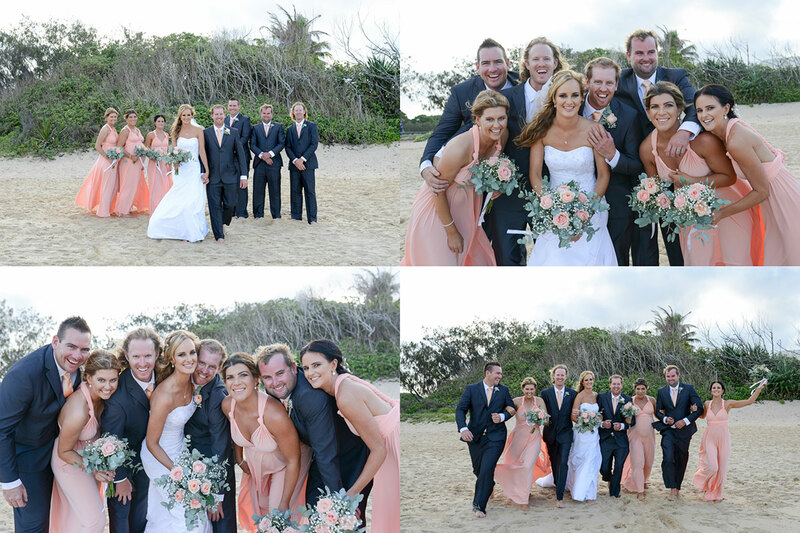 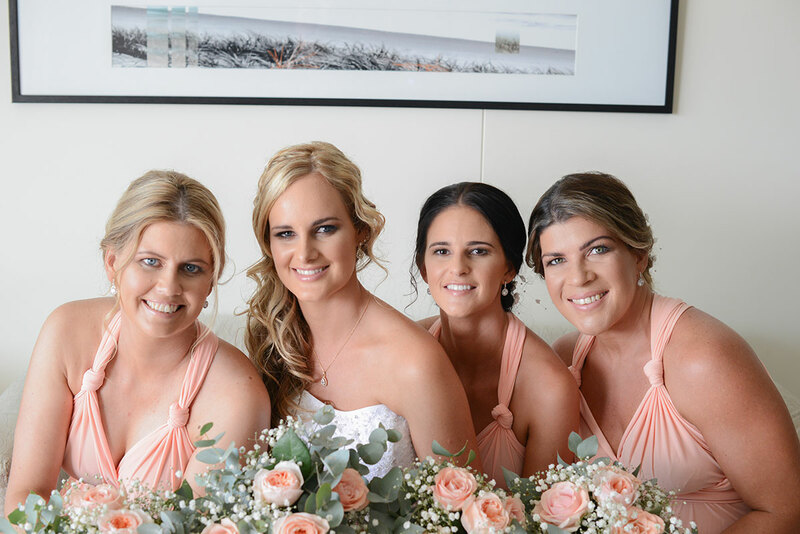 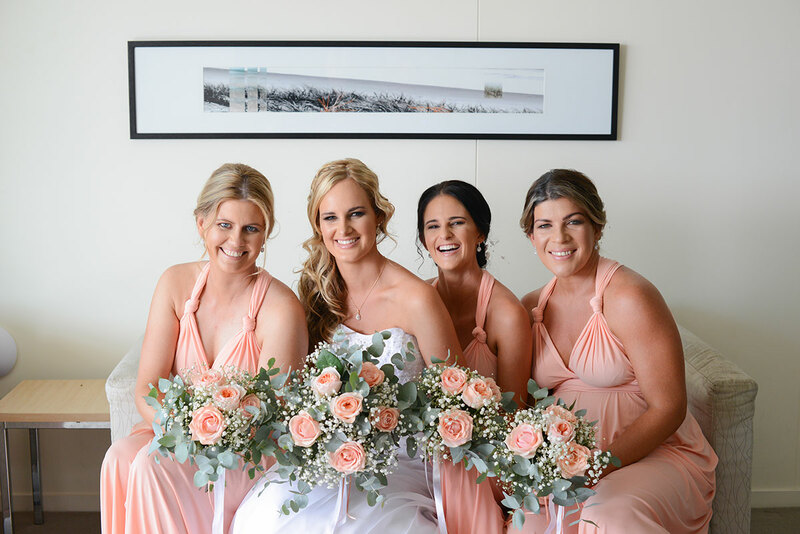 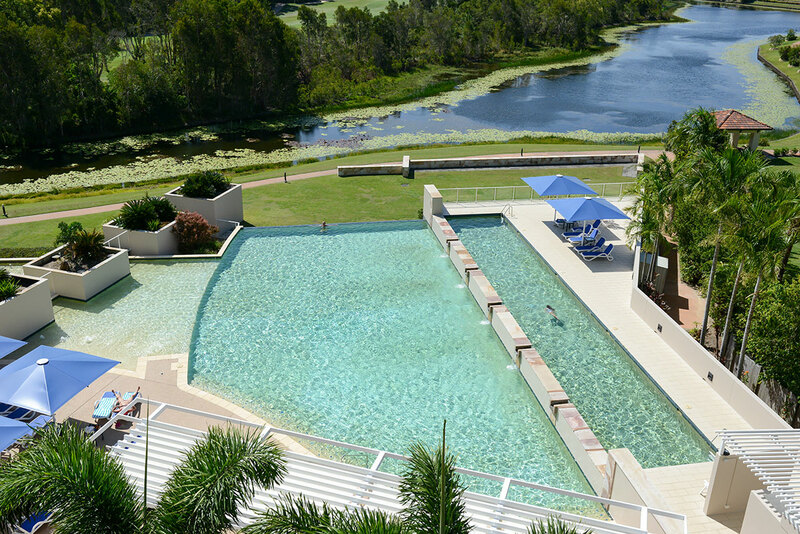 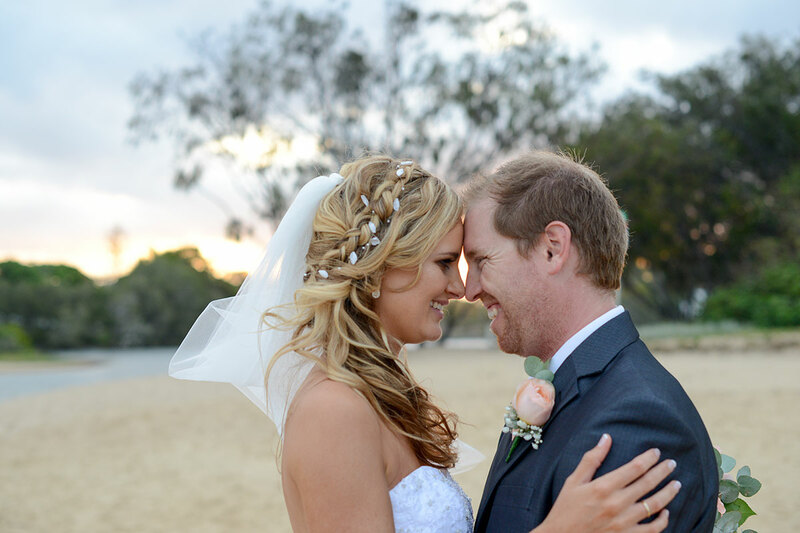 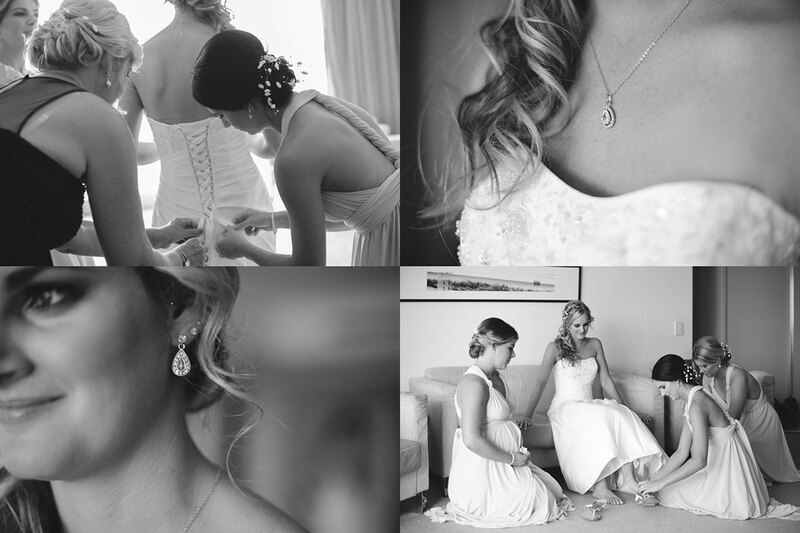 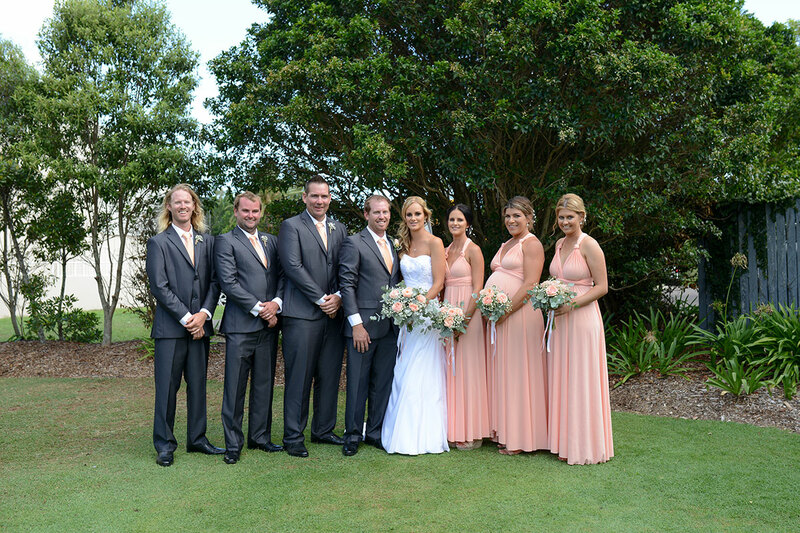 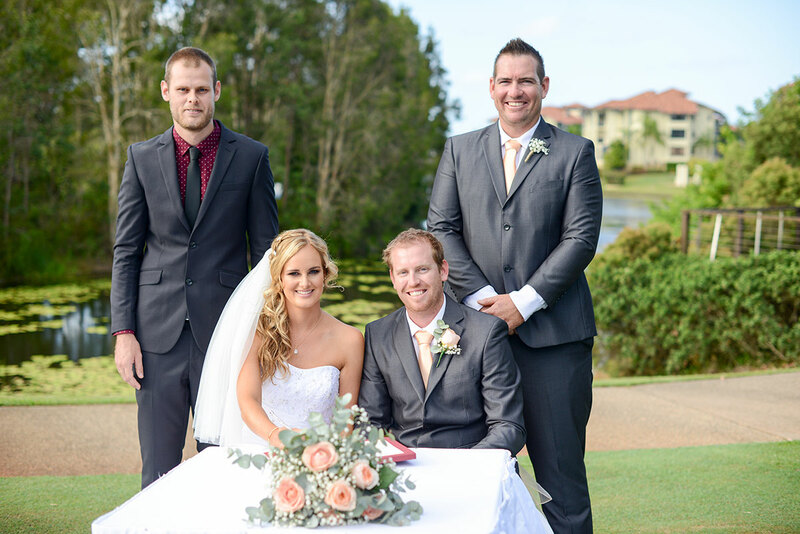 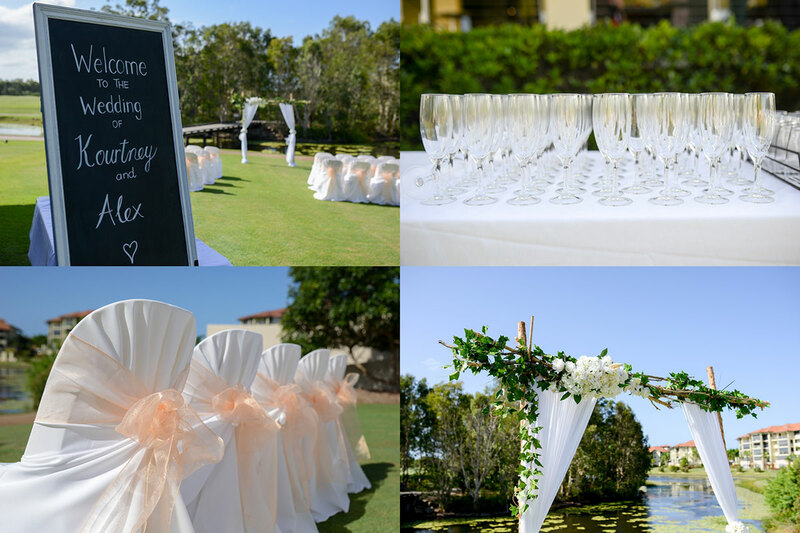 Everything was absolutely perfect for Alex & Kourtney’s beachy vibe wedding at Pelican Waters Golf Club. 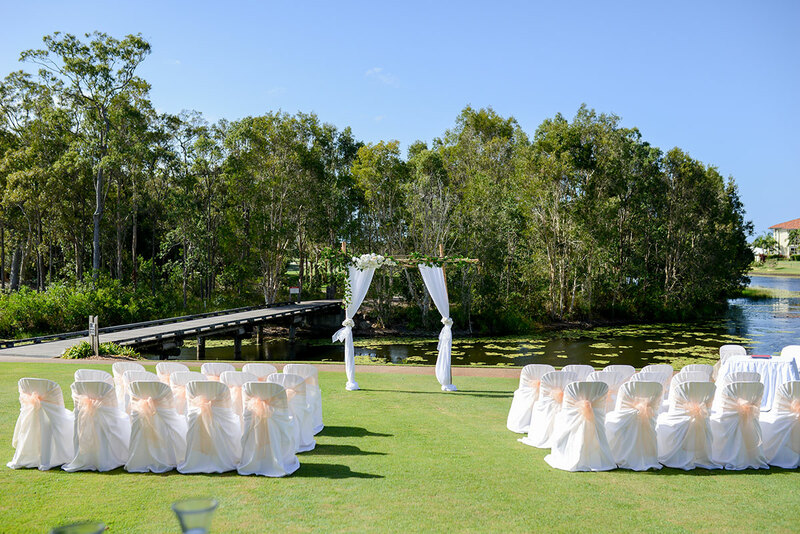 Between the styling of Cloud Nine and the beautiful natural backdrop, this venue ticks all the boxes. 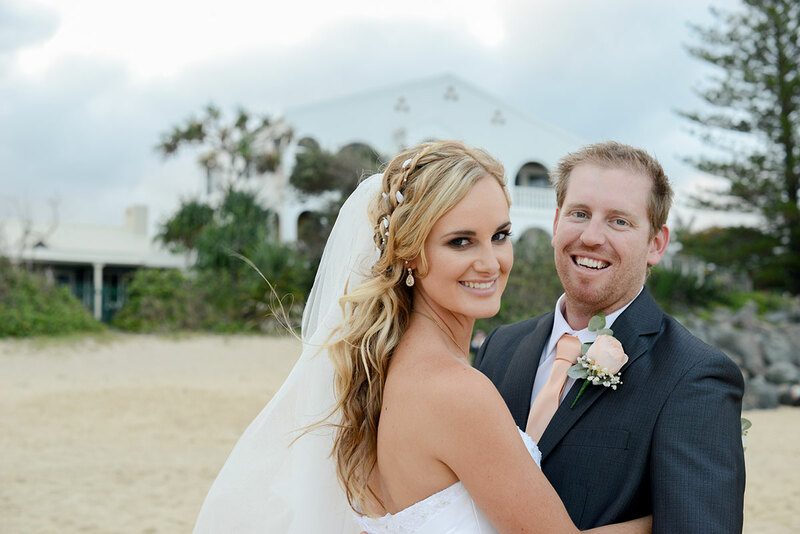 Alex and Kourtney grew up on the Coast and live locally to the Golf Club. 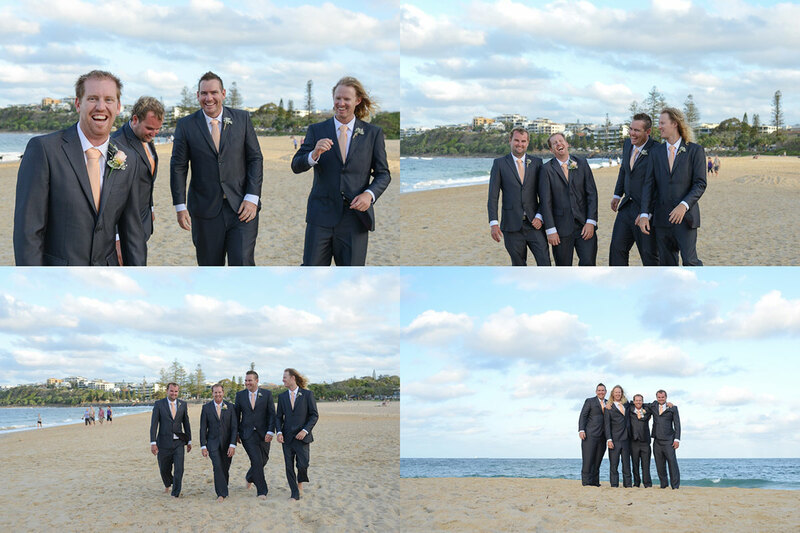 They love spending their weekends fishing together, so we headed to the beach to get their feet in the sand for their photos. 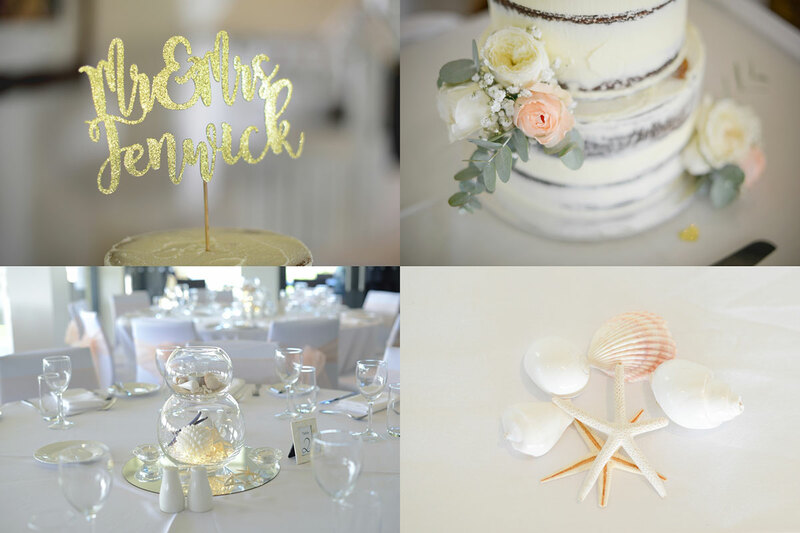 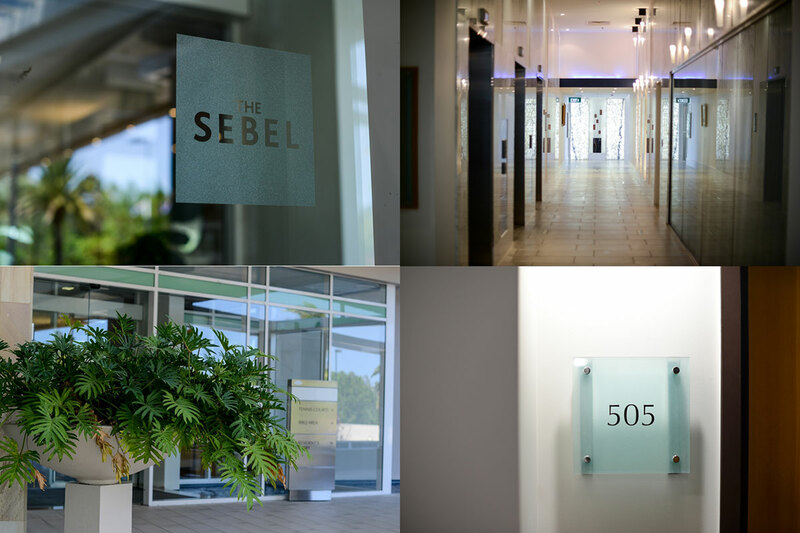 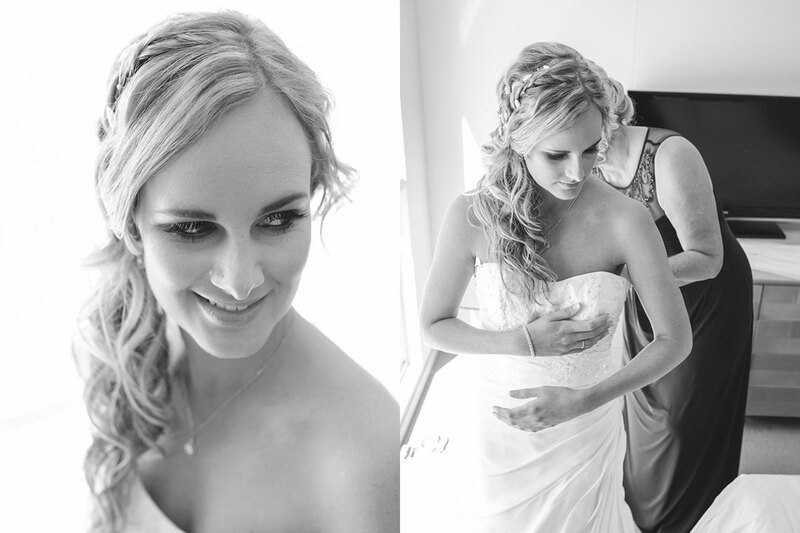 Scroll on down for their list of amazing local wedding suppliers..
What were some of your favourite wedding details.. 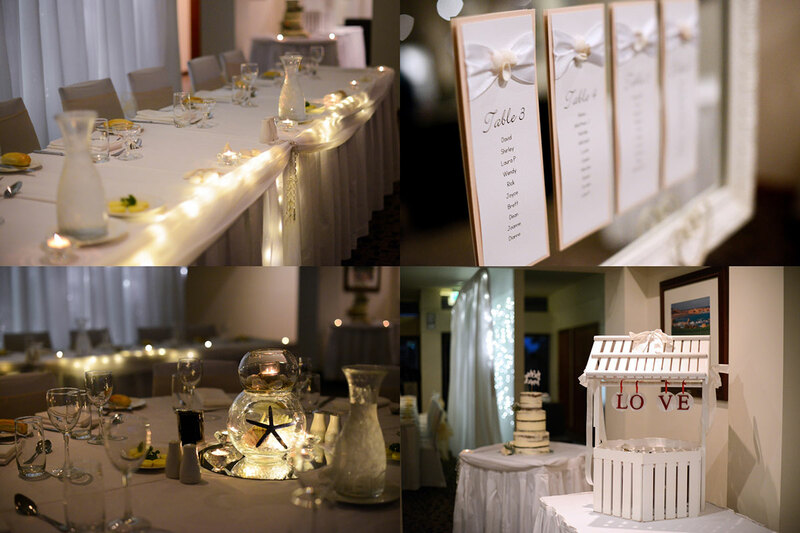 I loved the centerpieces which I got the ideas from Cloud Nine. 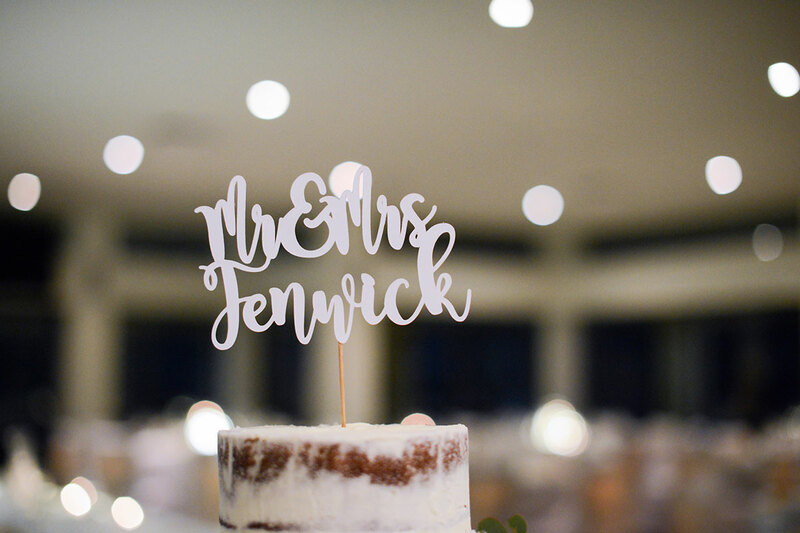 I also really loved how the cake turned out. 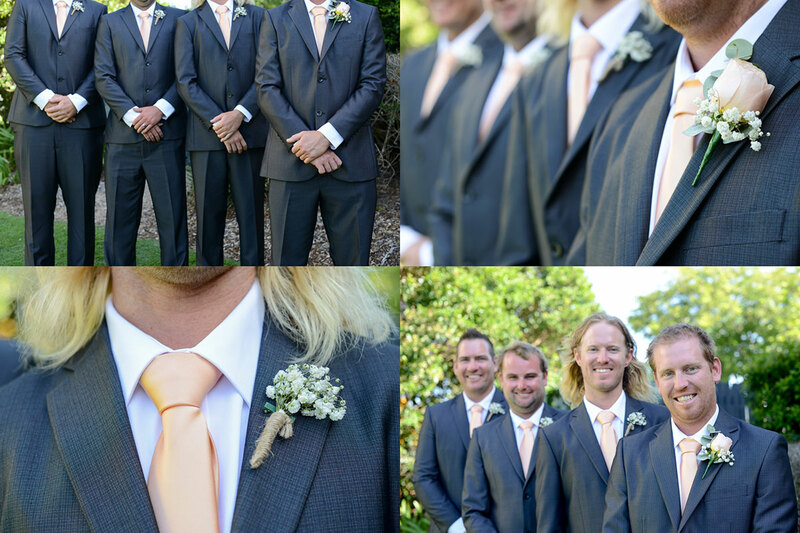 I found the design on instagram. 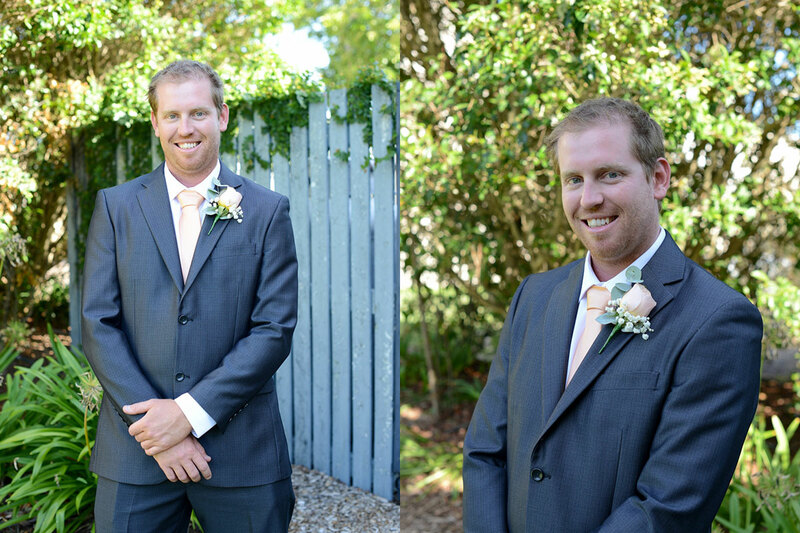 I was surprised at how fast it went, as well as how fun it was. 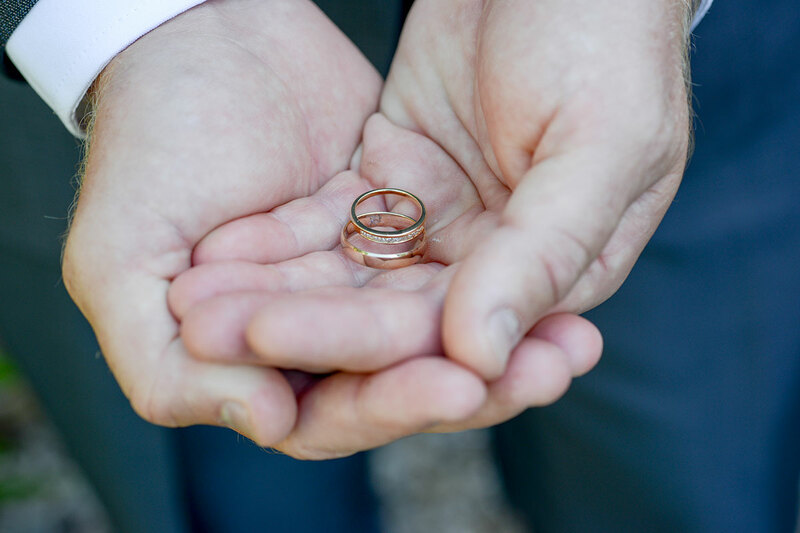 Is there a moment on the day, that will last with you both, forever? 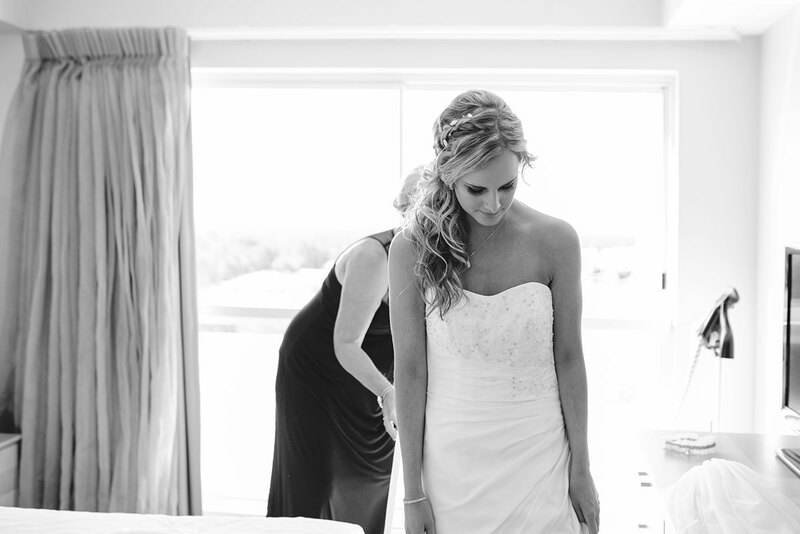 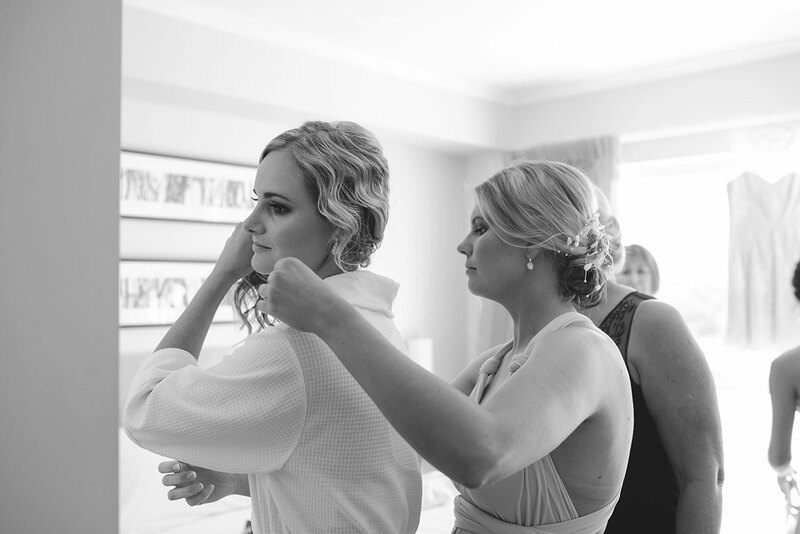 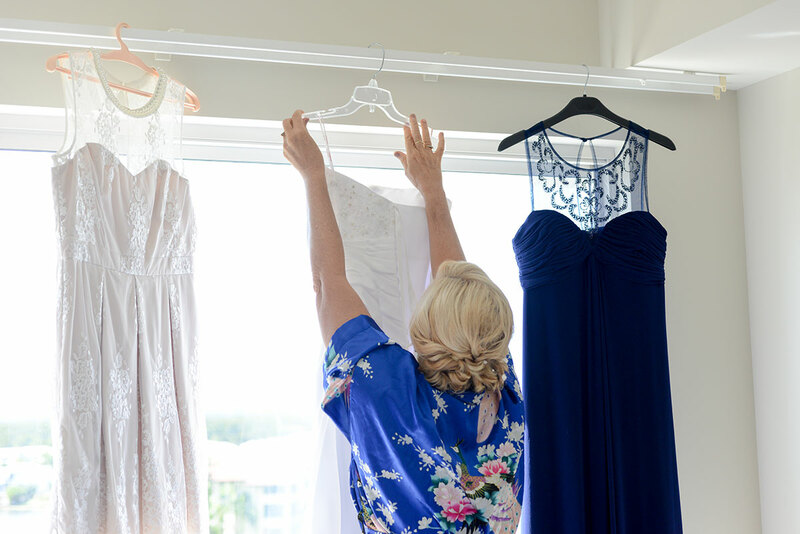 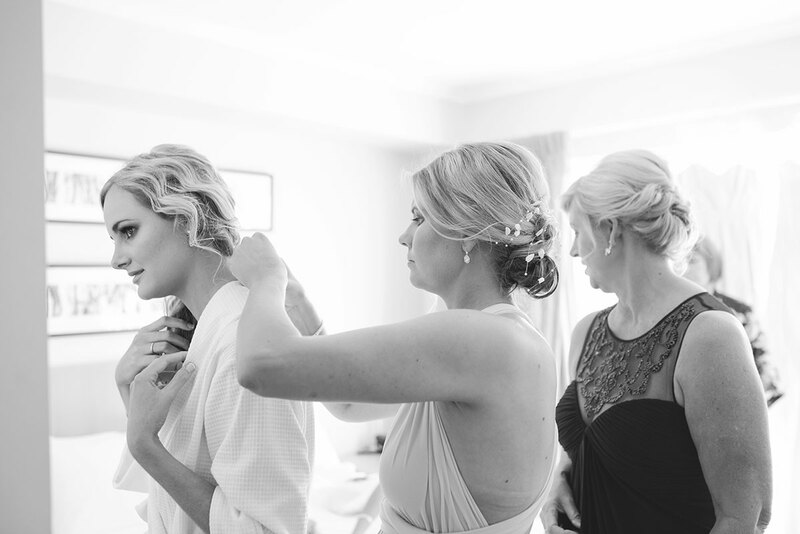 If you were to relive your wedding day again, would you do anything differently? 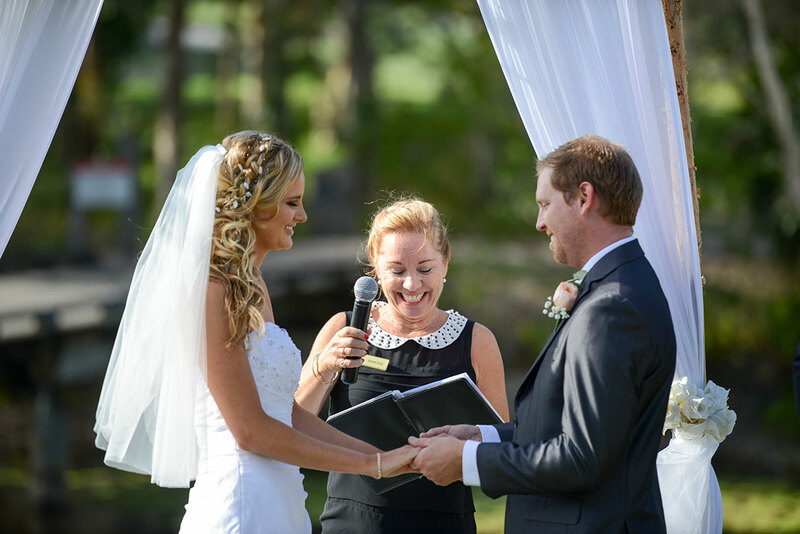 Do you have any advice for future couples planning their day? 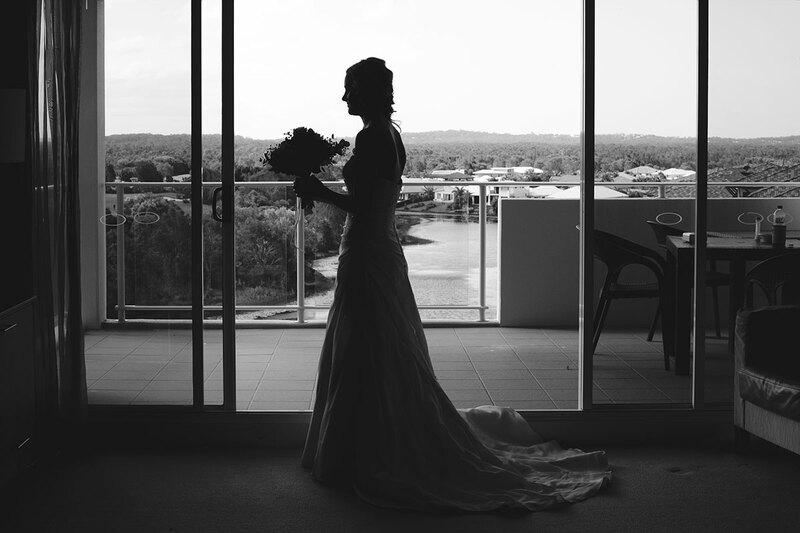 Please describe one of your favourite images from the day. 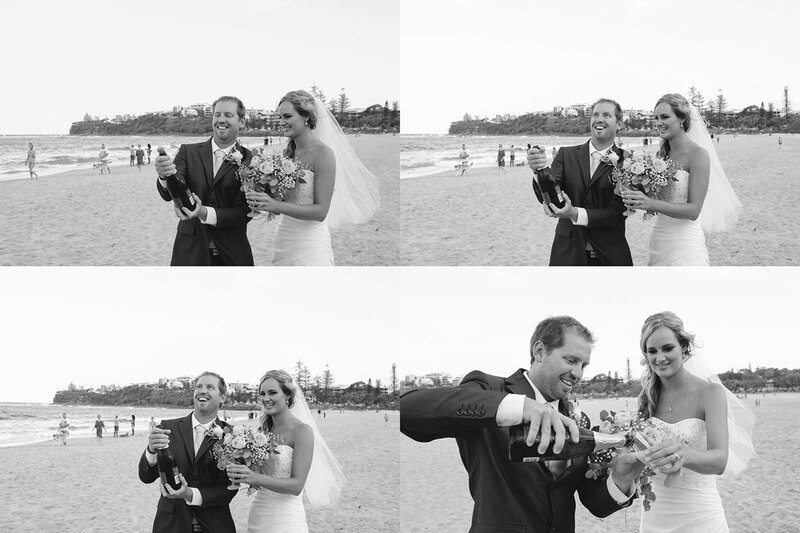 One of Alex and myself at the beach popping the champagne. 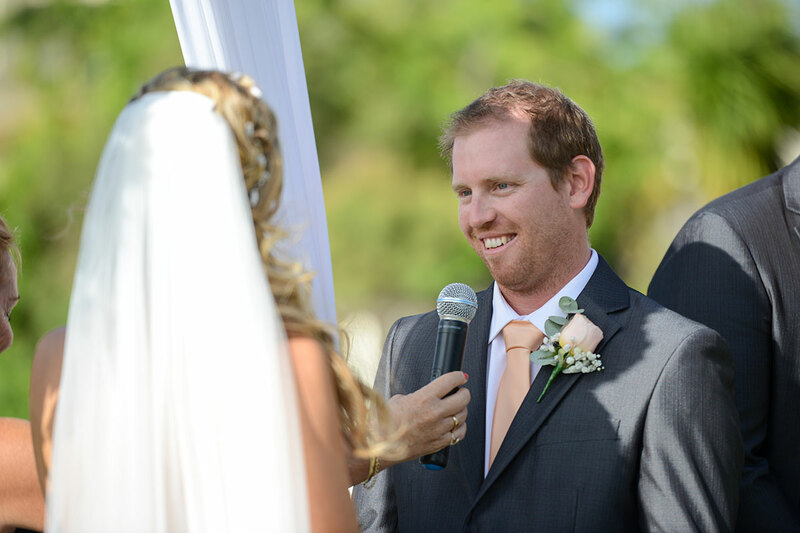 It really shows how happy we both were. 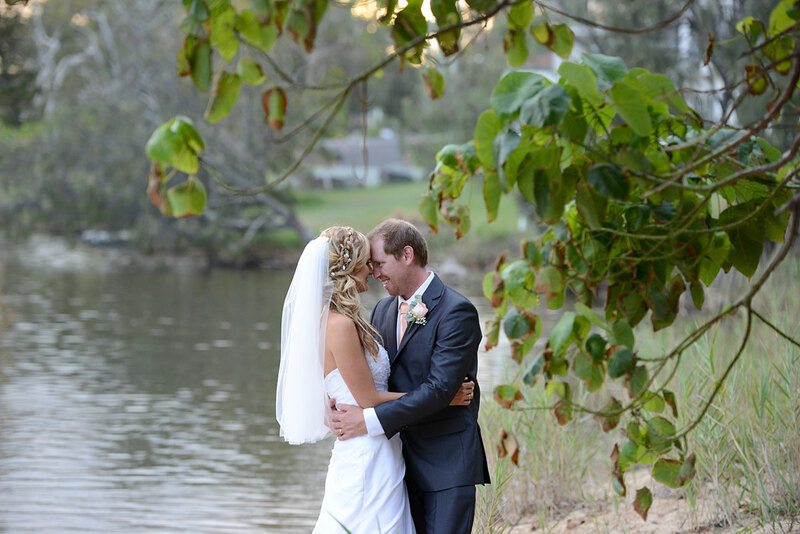 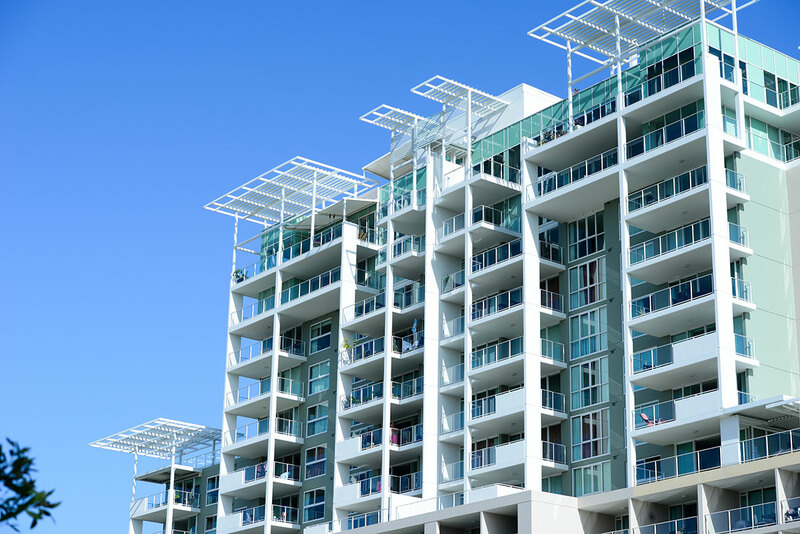 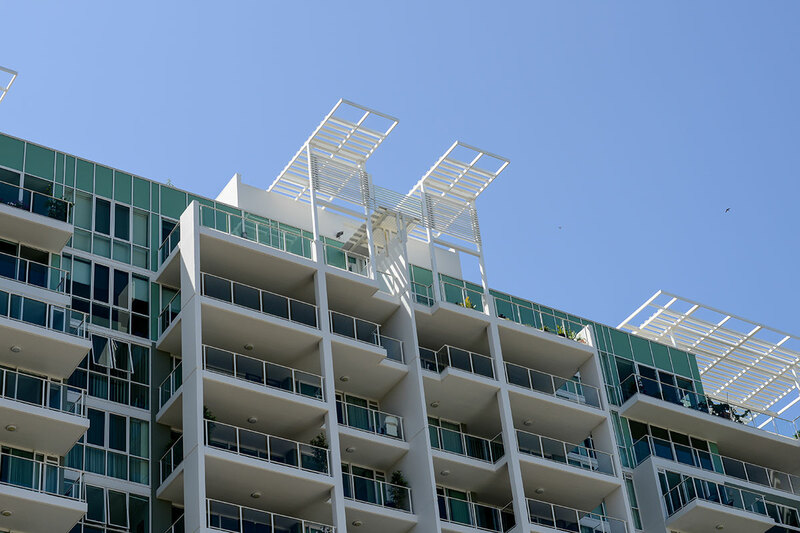 What did you like the most about working with Shell? 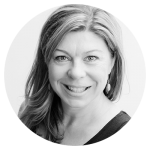 She is funny and has plenty of positive energy. 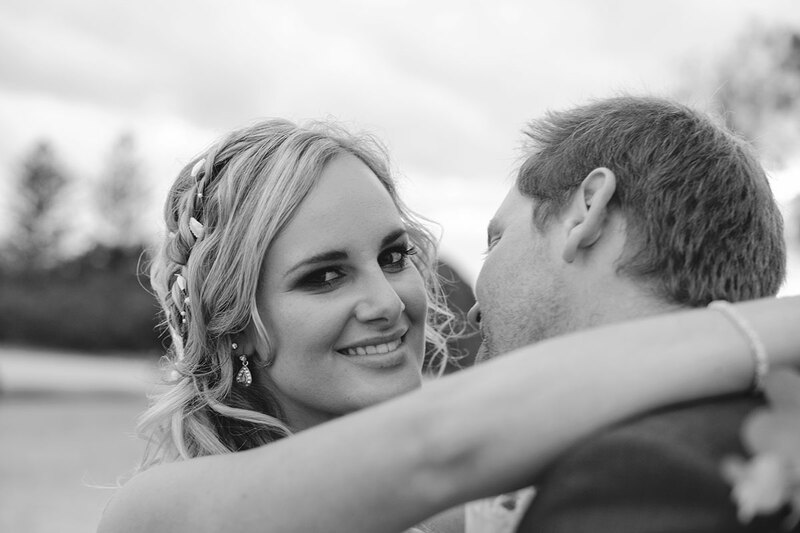 She made the day so much fun.